Here's a fresh summer staple I love to toss together. 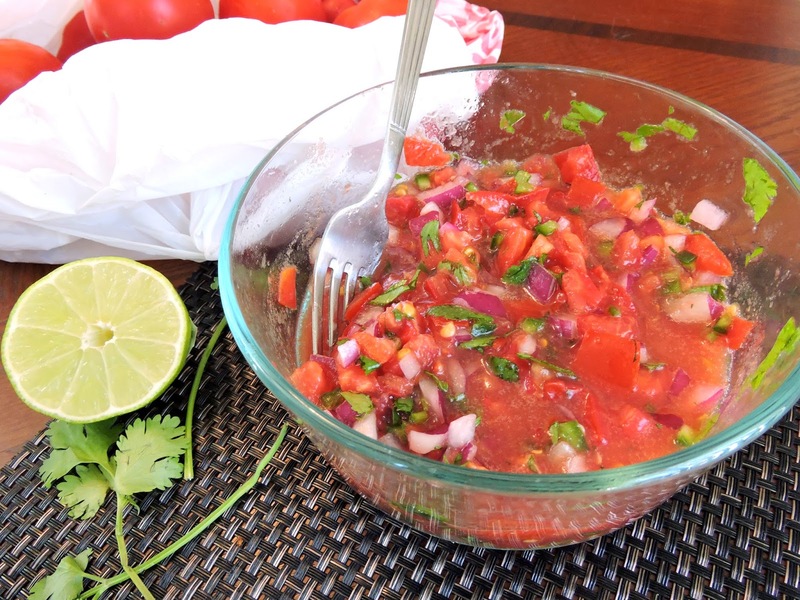 Pico de Gallo is perfect for dipping~ try plantain chips, bell pepper wedges, cucumber slices (my favorite), or gluten free corn tortilla chips if you'd like! The lime juice gives it an extra zesty kick. 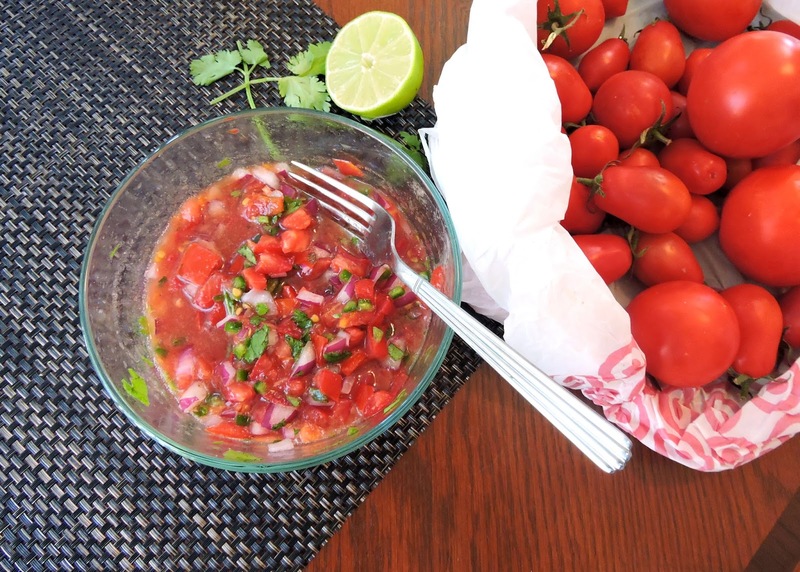 This fresh salsa is also awesome over a salad or grilled chicken, fish, or steak. Try it over my Grilled Mahi Mahi, or toss in some cooked shrimp for an easy ceviche. You could also add a summer fruit of your choice (mango, pineapple, peach, nectarine, etc.) to give it a twist! Now is the perfect time to try this out, since tomatoes are all over the place! My aunt & uncle recently gave me a big bowl of them, and I have loved using them in place of canned tomatoes in my recipes. Nothing beats fresh summer fruits & veggies! Combine all of the ingredients in a medium bowl, salted to taste. Chill in the refrigerator for 1 hour*, and serve.